Kingdom Hearts III is an action role-playing game developed by Square Enix and published by Disney Interactive Studios. It is the first Kingdom Hearts game to be featured on a Microsoft platform, having previously only released on Sony Computer Entertainment and Nintendo platforms, and the first to originally release on more than one console. It is the eighth installment in the Kingdom Hearts series. Sora is still the protagonist of the game, and KH3 also sees the return of Riku, Donald Duck, Goofy, and King Mickey, as well as other familiar Disney characters. 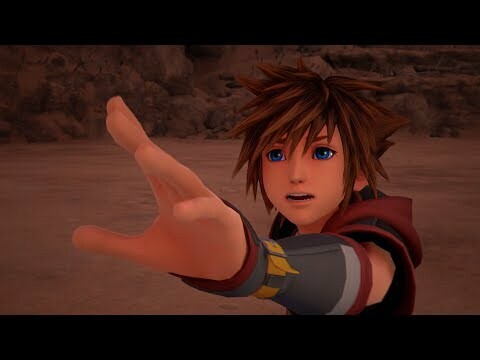 Continuing from Dream Drop Distance, Sora, Donald and Goofy attempt to search for seven guardians of light and the "Key to Return Hearts", while King Mickey and Riku search for previous Keyblade wielders in an attempt to stop Master Xehanort's plan to balance the light and darkness. The game features new and familiar worlds based on Disney properties, and serves as the final chapter of the "Dark Seeker" saga. Kingdom Hearts III was released on PS4 84d ago in the US and the UK. Based on 3 Kingdom Hearts III PS4 reviews, Kingdom Hearts III gets an average PS4 review score of 87. The score for all versions is 87 based on a total of 4 reviews. While not perfect, Kingdom Hearts III is the game I’ve been waiting for. Kingdom Hearts 3 is a fulfilling evolution and resolution of the franchise that shows it’s still full of heart. In 2019 I brought old ones home, and I had so much fun doing it. Kingdom Hearts 2.9 and 3 Details Leaked on LinkedIn?